Elegant traditional waistcoat for men in the colour blue. 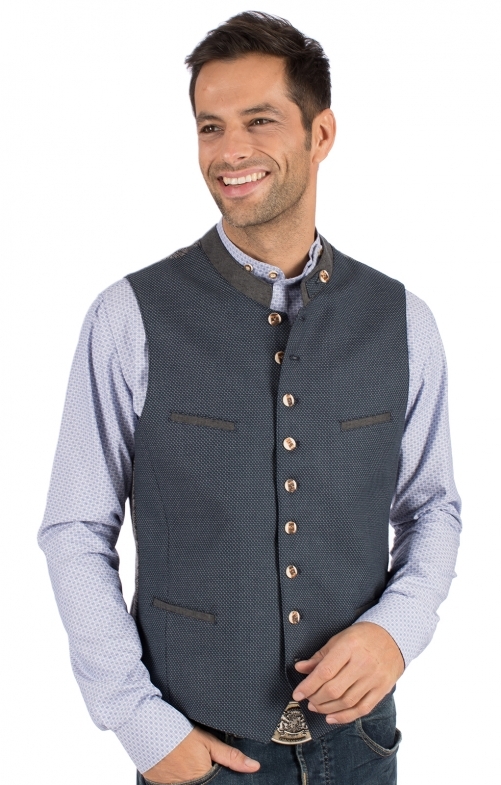 In our online shop, you will find this modern designed waistcoat in the classic style, which you can combine perfectly with trousers in everyday life. The high wearing comfort of the model made of cotton and polyester convinces from the first second. The stand-up collar and the piping of the pockets are designed in a subtle shade of brown. The large bright buttons in horn optics complete the popular costume design of this waistcoat.